Read eToro forex broker review, rating and detail information for their services below. eToro founded in 2006 as RetailFX in Tel Aviv, Israel. eToro initially known as RetailFX and founded by two brothers Ronen and Yoni Assia and their partner David Ring. eToro is an online Stocks, Currencies, Indices and Commodities social trading platform. It is currently ranked as one of the best social trading platform. eToro has also branch offices in London, New Jersey and Cyprus. eToro is regulated by the Financial Conduct Authority (FCA), United Kingdom. It has license under the FCA reference number 583263. Also, eToro regulated by the Cyprus Securities Exchange Commission (CySEC). The commission has a compensation scheme, which provides compensation up to $20,000 per case. Furthermore, FCA is come under Markets in Financial Instruments Directive (MiFID). Because of that, eToro is a MiFID compliant broker and authorized for entire Eurozone. eToro launched its social investment platform “OpenBook” in 2010. This is the first platform which has “CopyTrading” feature. The social trading platform allows traders to see expert traders trading statistics such as their market positions and profit levels. So the trader can adopt others strategies in real time. eToro also provide Mobile trading app onto the smartphone. It was launched in 2010 with all features of web-based version of “OpenBook”. The app is free and can be downloaded from Google PlayStore and Apple App Store. eToro also introduce CopyFunds feature for their traders. 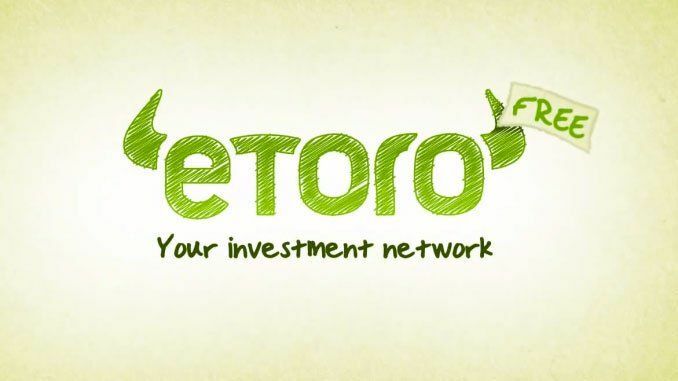 In 2014 eToro starts offer cryptocurrency trading for their users. In July 2017, the they launched the Crypto CopyCopy portfolio. However minimum of $5000 is required for Crypto CopyCopy portfolio. They support a huge range of cryptocurrencies which includes Bitcoin, Bitcoin Cash, Dash, Ethereum, Ethereum Classic, Litecoin, Ripple. Like other online Forex brokers, eToro doesn’t have any commissions or service fee. They have charged spreads on their price quotes. 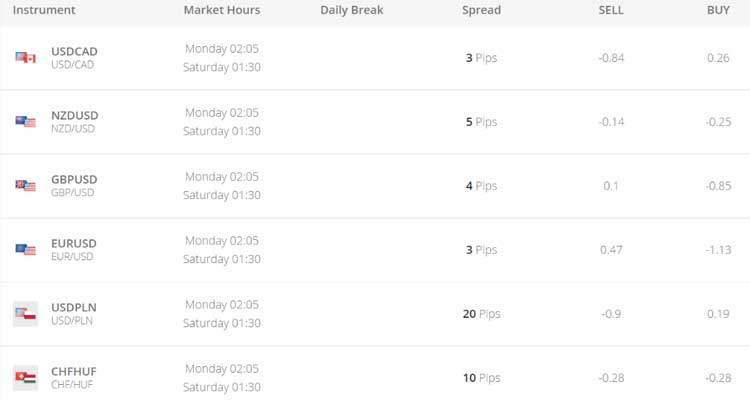 Spreads for currency pair is starting from 2 pips. It seems the spreads are bit high for eToro. But it includes spread, overnight fee, and commission. eToro Supports Credit / Debit card, Giropay, Neteller, PayPal, Skrill Limited, WebMoney, Wire Transfer, Wirecard, Yandex, China Union Pay for deposits and withdrawal. Withdrawals are also imitated through the same methods used for depositing the funds. Customer support at eToro is available 24/5. Hence there are several ways which you can get in touch with the support team such as email, fax or telephone. You also have the benefit of multi-lingual support. Above all, customers can choose their customer service representative by clicking on their photograph. This shows the entire bio of the customer service representative. Customer support available in English, German, Spanish, French and Italian. eToro currently has more than 5 million users in over 170 countries. eToro’s online platform is one of the world’s best social investment networks. eToro also rewards its most successful clients. Above all eToro provides “Trading Academy” which includes eCourse and live webinars for newbie.